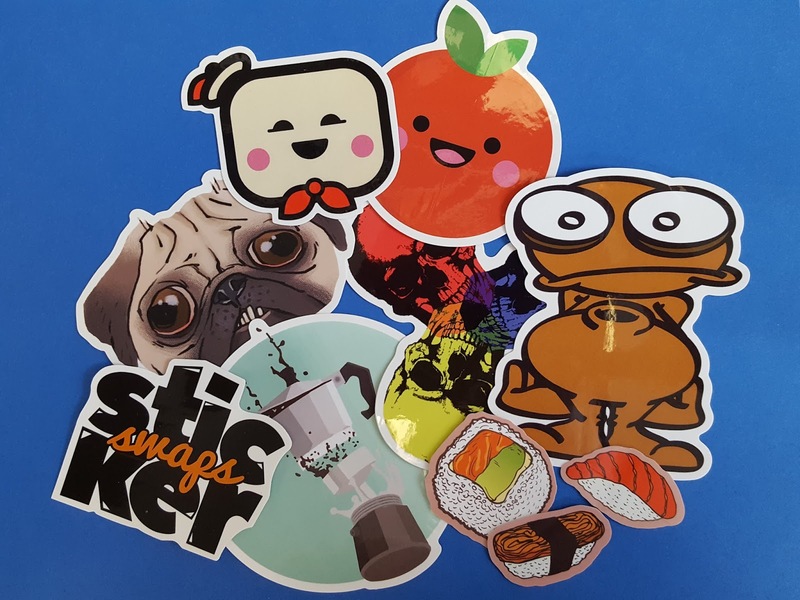 Check out all those stickers featured in March's pack! Sticker Swaps always sends out a variety of stickers - there's no theme or anything. The way it works is simple. Artists send in a bunch of stickers and Sticker Swaps features them in a future sticker pack that gets distributed around the world. How's that for publicity?! 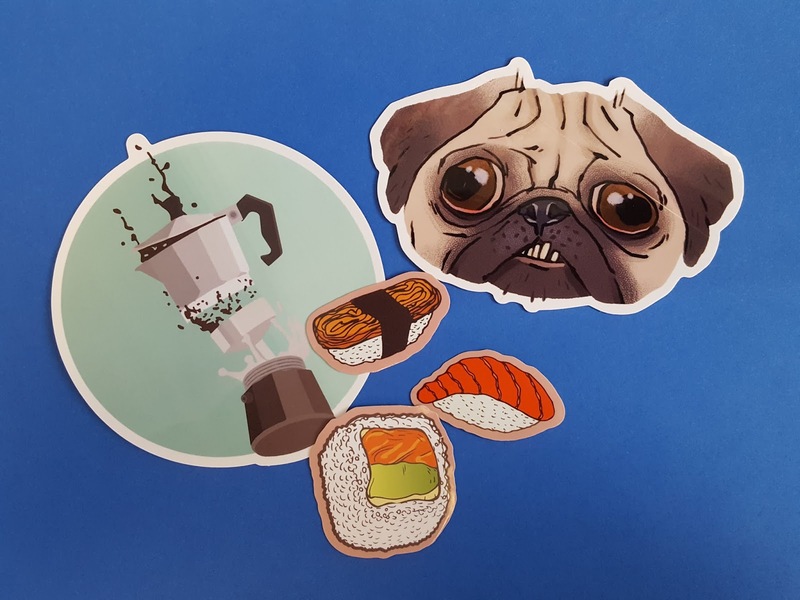 I'm always up for some good sushi and these nigiri stickers from Georgian (the country, not the state) artist Kvachi have got me wanting to eat some. Like now. In fact, the hubby and I just went out for sushi last Friday. And the week before that. And probably the week before that, too. I can never get enough sushi. :) Even my dogs try to get in on the action, but I'm a greedy nommer; I don't share with them. And then they give me a face that looks something like that puppy-eyed pug up there. It doesn't work on me, though. Not even my husband gets to steal a bite of my food. So if you're a sticker aficionado (or even if you're not) go ahead and pick up a subscription and use the code SHERI50 at checkout to get 50% off your first month. 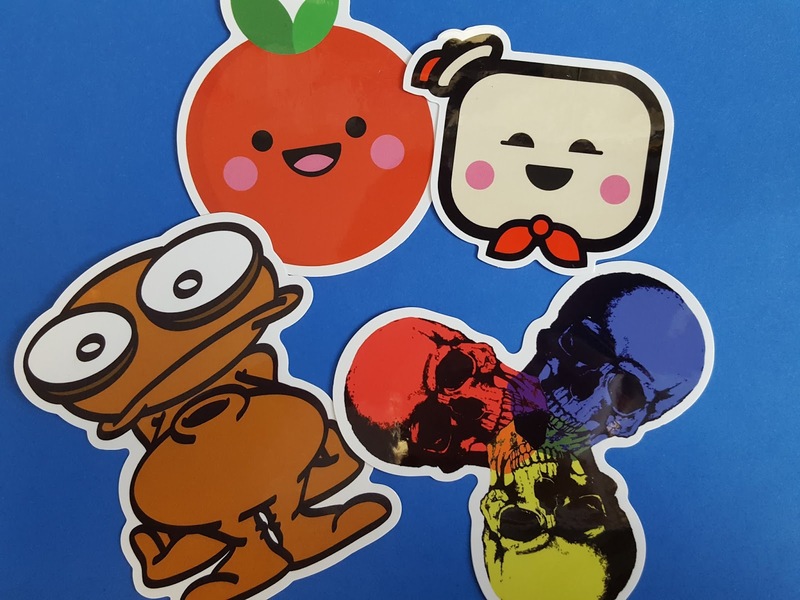 You'll love the originality that oozes from these stickers. I can almost guarantee that you'll be the only one in your neighborhood with them...can you say one-of-a-kind? Or if you'd like your stickers to be featured in a future Sticker Swaps pack, let them know by dropping them a line.